I’m online most of the times because my work involves being online for several hours either in my office work or in my online tasks. I’m a heavy user of internet and computer thus I find the need to do everything on the computer. Anyway my work includes opening files, copying, editing and printing. Most of the times I convert my files into PDF format to secure it from being edited and changed by others. The documents need to be secured because it contains highly confidential figures and signatures. Now there are times that I want to remove the security to add something to my important file but I can’t seem to unlock my own PDF files that I secured myself. Well it happens to many people as I’ve seen in some sites several questions on how they can remove security on almost all documents they have like reports, dissertations, textbooks, office files and a lot more. As we all know security is done on those documents to protect the rights of the writer or owner of those files from being changed, copied or printed. But once in a while there’s a need also to change or edit those documents for ease in working so information on how to remove PDF security is often essential. 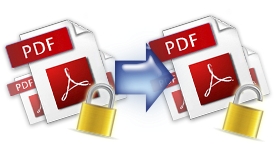 Wondershare offers solutions to this need with their PDF Password Remover, a simple PDF cracker to help those who need to decrypt protections on PDF files. It can support decrypting faster up to 200 PDF files at a time. It can remove the restrictions on editing, copying and printing. Also, when the owner of the file already opened it with the authorized password he can use it to remove PDF open password. The owner can use it again to whatever he wants to do or change before he will secure the file for a new password protected PDF file. With Wondershare’s beneficial software capabilities opening your password protected PDF files will never be a problem again and managing files will be as easy as normal documents. It can be used on both owner and user passwords as long as the owner unlock it with the right authorized password before removing the protection. This will certainly be of great help to administer all our PDF files in the office or possibly my personal PDF files also. Nice having known such solutions to normal problems with PDF files. Anyway it supports Adobe PDF 1.0-1.7.